Hotels in Jamaica are going to impress you, as long as you choose the type of hotel that you're most interested in. Like most tourism heavy regions of the world, you'll find affordable hotels and motels as well as luxury resorts lining the beaches and cities. 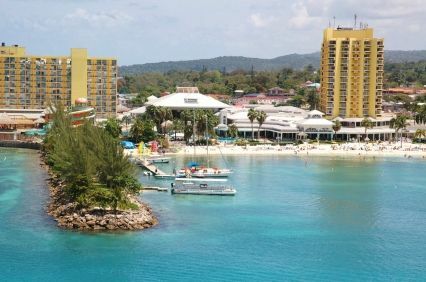 Jamaica is the birthplace of the all-inclusive hotel, where a single price covers your room, all your meals, drinks and non-motorized water-sports too. Most of the time, these hotels will offer a description of what they have to offer to visitors. If luxury is your thing, then Jamaica is your choice, because there is a huge amount of the world's finest luxury hotels with rates that are liable to decrease up to forty percent during off season. Then if you prefer budget run hotels in Jamaica then family-run guesthouses with pretty basic facility might be great for you. You can even do your bargaining over the phone prior to your arrival. There are also some hotels in Jamaica that are rated as cheap hotels, from Kingston to Negril. These are beautiful, clean hotels that offer great food, entertainment, some with beaches and some without a beach. It is always your choice. Do take your time to choose the hotel and area that will provide you with what your heart desire. Like tranquil beaches, or rigorous activities, water-sports, zip-line rides over waterfalls along with pulsating reggae music all to make your vacation to Jamaica a memorable and exciting time. It is worth reserving a room for your first night or two before arriving in Jamaica to satisfy immigration requirements. As you plan for your trip, these are important tips to know. Not all hotels will offer the same quality of service and amenities. If you're not sure about a facility or its ability to meet your needs, choose a location you're more confident in. However, since this is a tourism heavy region, you will find reviews about your options online. Hotels sometimes offer their own rating system. Rather than counting on ratings to determine if the hotel is ideal for you, learn about the features and amenities instead. Book your hotel in advance. Throughout most of the year, Jamaica hotels are filled with guests months in advance, especially those near the beaches and more popular regions of the country. If you want something specific, book your trip in advance of arriving. Finding hotels in Montego Bay Jamaica area can seems overwhelming but is truly easy because there are literally dozens of elegantly furnished villas, resorts, guesthouses, suites all there for the choosing. These tips can help you to get started in finding the right hotel for your needs. When you arrive, if you find there's a problem, or you don't have the experience you hoped for, come back and be sure to review the hotel online. This helps others to know what a realistic experience at the facility will be. As with most regions, there are budget hotels that offer basic amenities and there are luxurious resorts as well. All can be a good investment if they work with your needs. To save money on your trip, book a package with your hotel. You also can save if you visit during the fall or spring months when crowds are less but the weather is still beautiful. For those who do book hotels in Jamaica, remember that the best options are along the coast or in the heart of the city. However, look for options near to where you hope to be. You can listen to Jamaica reggae music, see the artisan works or even tour the mountains within just a few minutes of many hotels here. Return to Home Page from "Hotels in Jamaica"